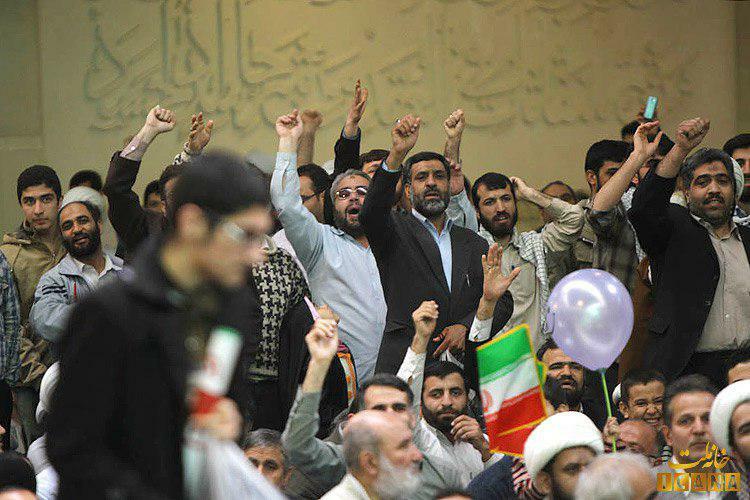 A group of reformist and pro-government members of the Iranian Parliament have, in a recent move, proposed a plan to guarantee the security of the ceremonies held in the country by imposing punitive measures against speech disruptors. The motion, however, has received a negative reaction from the opposing party. A number of Iranian reformist and moderate pro-government lawmakers have codified a double-urgency plan, not positively reacted to by the conservative party, to ensure the security of [holding] official, religious and other common ceremonies by imposing punishments on those who seek to disturb them. Members of the conservative party maintain that the plan’s main target is covering up the Rouhani administration’s inefficiencies and silencing criticisms [to be] levelled at the government’s performance. Anybody who in any way, for instance by raising a tricky or probing question, disturbs or interrupts an official ceremony, including speeches or conventions which are held without official permits, or distracts participants or creates tensions, will be convicted to imprisonment from six months to two years. The disciplinary forces are responsible for the immediate arrest of the disruptor(s) or interrupter(s) and handing them over to judicial bodies. All state officials including administrative, military, disciplinary or political authorities are required to guarantee the security of the ceremonies or meetings and prevent any move leading to their disturbance, disruption or cancellation. In case of any failure in fulfilling their responsibility, they will be dismissed from their position of responsibility, temporarily or permanently, in proportion to the case (seriousness of the crime perpetrated by the disruptor and severity of its consequences). Iran’s Judiciary is also required to consider the cases and issue the verdicts in less than a month. This plan, however, has not been yet discussed in the Parliament’s open session. In addition, in case of being ratified by the parliamentarians, it is required to be approved by the Guardian Council to be executed. Commenting on the plan, Parviz Sorouri, the secretary-general of the Society of Path-Seekers of the Islamic Revolution — an Iranian conservative party — said it is quite surprising and upsetting that those who publically claim to be liberals and advocates of freedom and democracy, are, after coming into power, seeking to annihilate their adversaries. The plan is in contrast to the main slogan of Iran’s 1979 Islamic Revolution calling for “Independence, Freedom, Islamic Republic”, he said, adding the Leader of the Islamic Revolution Ayatollah Seyyed Ali Khamenei has repeatedly stressed that ideal conditions are required to be created for the freedom of speech and free expression of ideas and viewpoints in the society. Referring to the present harsh climatic condition in the southwestern province of Khuzestan, created by dust storms, he said such problems make people impatient and restless, compelling them to voice and put forward their complaints and demands respectively, adding the reformists’ plan seeks to deprive them of this opportunity.